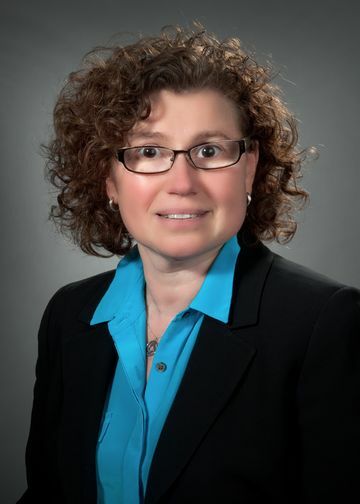 Dr. Marder is an attending physician with the Division of Rheumatology and she is involved in many clinical trials relating specifically to myositis as well as other autoimmune diseases. Chester V. Oddis, Ann M. Reed, Rohit Aggarwal, Lisa G. Rider, Dana P. Ascherman, Marc C. Levesque, Richard J. Barohn, Brian M. Feldman, Michael O. Harris-Love, Diane C. Koontz, Noreen Fertig, Stephanie S. Kelley, Sherrie L. Pryber, Fredrick W. Miller, Howard E. Rockette and the RIM Study Group. “Rituximab in the treatment of refractory adult and juvenile dermatomyositis and adult polymyositis: A randomized, placebo-phase trial.” Arthritis Rheum. February 2013, v65, issue 2, p314-324. Belostosky O, Diamond A, Marder G. “TNF-Alpha inhibitors in treatment of refractory sarcoidosis with severe CNS Involvement: 65.” Journal of Allergy & Clinical Immunology. 115(2) Supplement 1:S17, February 2005. Marder G and Greenwald RA. “Potential applications of matrix metalloproteinase inhibitors (MMPIs) in geriatric practice.” The Israel Medical Association Journal 2003; 5(5) 361-364. Anita K, Marder G, Mattana J. “Severe upper airway obstruction from cricoartenoiditis as the sole presenting manifestation of a Systemic Lupus Erythematosus Flare.” Chest. 12193):990-993, March 2002. Clancy R, Marder G, Martin V, Belmont HM, Abramson S, Buyon J. “Circulating activated endothelial cells in Systemic Lupus Erythematosus: further evidence for diffuse vasculopathy.” Arthritis & Rheumatism. 44(5):1203-1208, May 2001. Marder, G; Buyon, J; Belmont, M; Abramson, SB; Clancy, R. “Circulating Activated Endothelial Cells in SLE: Further Evidence for Diffuse Vasculopathy.” Arthritis & Rheumatism. 42(9) Supplement, S306, September 1999.